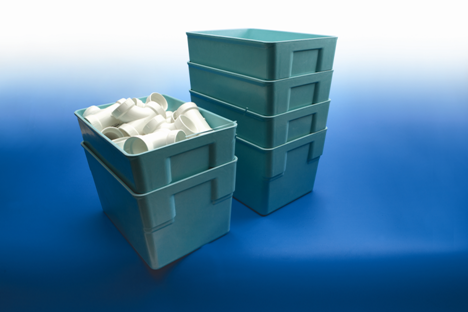 AIM Reusable Packaging’s nesting containers/trays combine impressive strength and in-service toughness with ease of handling and storage. Nesting saves valuable floor space and bench space and facilitates the movement of containers to work areas. Tough composite construction stands up to rigorous use year after year. Available in a variety of designs to function as drawers, trays, pens and containers. Optional lids available on certain models for stacking and part protection.